There are two prizes for this giveaway, one of which is open to everyone and the other for US residents only, so feel free to enter if you are outside of the US, but know that you will receive the eBook but not the paperback. Overseas shipping is just too expensive. 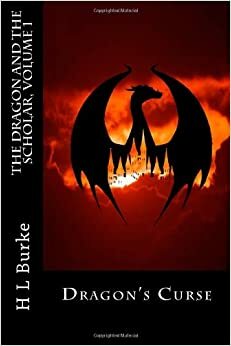 So enter below to win copies of both the Dragon and the Scholar books. One winner will receive paperback editions and the runner up (or non-US winner) will receive eBooks. Oh gosh, right now I'm geeked out on Grimm because that's what I've watched most recently, but Doctor Who is also a big deal for me. 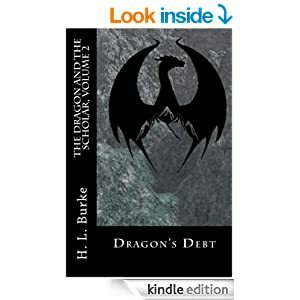 Lord of the Rings and Star Wars are neck and neck for longest running. . .and of course, I love my dragons! Yes, Doctor Who!! My daughter and I watch it, and we're about halfway through season three. I think it's going to kill me all over again by the end of this season or maybe next season. How far into are you? I've always wanted to watch Grimm. Man, if there were just enough hours in the day, lol. Nah, GoT is just a little too dark for me. My six-year-old loves the Doctor. I'm a big dragon fan as well! One of my favorite book series are the Dragonlance ones. I practically lived on Krynn in high school! ;) Right now I'm a dedicated Oncer. I like your book covers. Thanks. A friend did a the graphic for me. I'm trying to convince her to put them on t-shirts. Thank you for linking up to the Small Victories Sunday Linky party. I have pinned your post to our collaborative board. Thanks! I hope you took the time to enter as well.